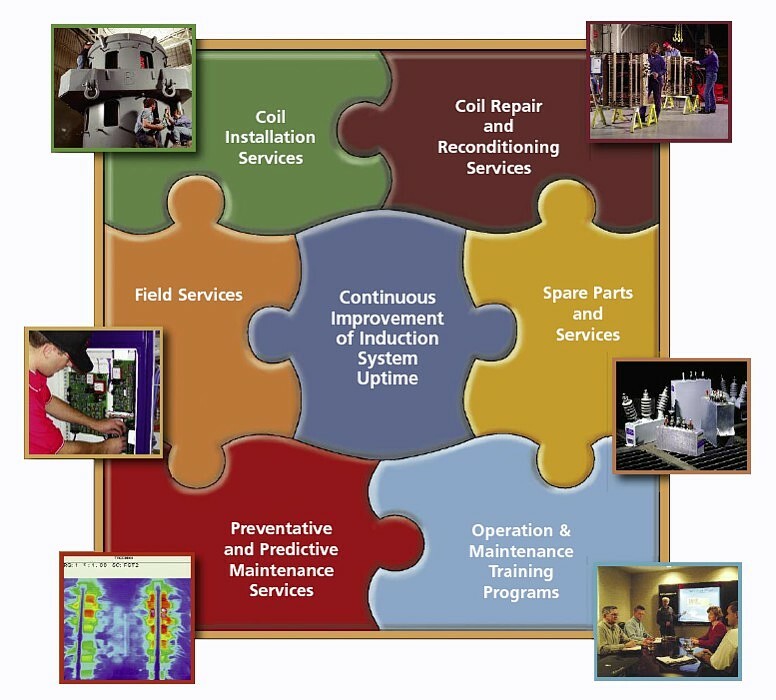 Ajax Tocco provides comprehensive support services for any brand, type or application including induction system parts, field service, maintenance and repairs. To learn more, click the piece of the services puzzle you are interested in viewing. If there are additional sub-pages, there will be links on the main page or you can access all pages from the main menu.